THYSELF, O LORD: Papa Francisco: "Nossa Senhora, Apenas uma Garota Normal, Não Era Inteligente, Nem Cheia de Virtude"
Papa Francisco: "Nossa Senhora, Apenas uma Garota Normal, Não Era Inteligente, Nem Cheia de Virtude"
Ressoa nos sites católicos partes do novo livro de entrevistas com o Papa Francisco, no qual ele de uma canetada só parece negar os dogmas da Igreja sobre Nossa Senhora. 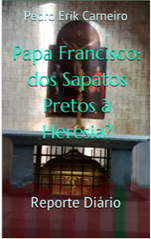 Ou na melhor das hipóteses (por mais louco que possa parecer) mostra que o Papa não entende os termos mais básicos da Doutrina da Igreja. O site do jornal Vatican Insider News é um dos jornais que trata do assunto. Em suma, o Papa Francisco descreve Nossa Senhora como uma "garota normal que queria casar e constituir família", cujo diferença era que gostava das escrituras. Além disso, para espanto de quem estudou minimamente o Catecismo, diz que quando o Anjo Gabriel disse que Nossa Senhora era "cheia de graça", ele não queria dizer que Nossa Senhora era inteligente, nem cheia de virtude, nem era uma super mulher, apenas que era cheia de "gratuidade e de beleza". Será que o Papa sabe o que significa a palavra "graça divina" na teologia? Será que ele conhece o dogma da Imaculada Conceição? Ele ainda usa Nossa Senhora para contrapor os "pobres" contra o que chama de "elite". Vejam o texto do Vatican Insider News. “I imagine her as a normal girl, a girl of today, open to getting married, to having a family”. Pope Francis speaks of Our Lady, and explains the Hail Mary prayer in the new book interview with Don Marco Pozza, chaplain of the prison of Padua, published by Rizzoli and the Libreria Editrice Vaticana. The Italian daily Corriere della Sera has anticipated some excerpts of Bergoglio’s new book: “From the moment she was born until the Annunciation, to the moment she encountered the angel of God, I imagine her as a normal girl, a girl of today, I can’t say she a city-girl, because she is from a small town, but normal, educated normally, open to marrying, to starting a family. One thing I imagine is that she loved the Scriptures: she knew the Scriptures, she had done catechesis in a family environment, from the heart. Then, after the conception of Jesus, she was still a normal woman: Mary is normal, she is a woman that any woman in this world can imitate. No strange things in life, a normal mother: even in her virginal marriage, chaste in that frame of virginity, Mary was normal. She worked, went shopping, helped her Son, helped her husband: normal”. Emphasizing Mary’s rootedness in the people, Francis takes up one of the recurrent themes of his pontificate. “Normality is living among the people and like the people. It is abnormal to live without roots in a people, without connection with a historical people. In such conditions a sin - very much liked by Satan, , our enemy- is born : the sin of the elite. 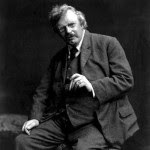 The elite does not know what it means to live among the people and when I speak of the elite I do not mean a social class: I speak of an attitude of the soul. One can belong to a Church elite. But, as the Council says in Lumen Gentium, the Church is the faithful holy people of God. The Church is the people, the people of God. And the devil likes the elite. “The re-creation begins with Mary, with a single woman,” says Pope Bergoglio. “Let’s think of the single women who run the house, who alone raise their children. Mary is even more alone. Alone, she begins this story, which continues with Joseph and the family; but at the beginning recreation is the dialogue between God and a single woman. Alone in the moment of proclamation and alone the moment her Son died”. Francis also recalls the tragic events of his country, Argentina and the sufferings of the mothers of the desaparecidos. “To a mother who has suffered what the mothers of Plaza de Mayo have suffered I allow everything. She can say anything, because it is impossible to understand the pain of a mother. Someone told me: “I would like to see at least the body, my daughter’s bones, to know where she was buried” (...). There is a memory that I call “maternal memoryˮ, something physical, a memory of flesh and blood. This memory can explain the anguish. They often say: “But where was the Church at that moment, why didn’t she defend us?ˮ. I keep quiet and accompany them. The desperation of the mothers of Plaza de Mayo is terrible. We can only accompany them and respect their pain, take them by the hand, but it’s difficult”. The Pontiff also comments on a phrase said by Pope Luciani about the motherhood of God. “Saying that God is father and mother, Pope John Paul I did not say anything strange. God said so of himself, through Isaiah and the other prophets: he presented himself as a mother, “I look after you as a mother, a mother cannot forget her child, and even if she did, I would never doˮ (Is 49,15)”. Francis then emphasizes what the archangel Gabriel told Our Lady at the moment of the annunciation. “The angel does not say to Mary: “You are full of intellect, you are intelligent, you are full of virtue, you are an super-good woman”. No, he said, “You are full of graceˮ, that is, of gratuitousness, of beauty. Our Lady is the beauty par excellence. Beauty is one of the human dimensions that we too often neglect. We speak of truth, of goodness and leave beauty aside. Instead, it is as important as the others. It is important to find God in beauty”. Again, the Pope explains that “Mary cannot be the mother of the corrupt, because the corrupt sell their mother, they sell their belonging to a family, to a people. They are only looking for their own profit, whether it be economic, intellectual, political, of any kind. They make a selfish choice, I would say Satanic: they lock the door from within. And Mary cannot enter. For this reason, the only prayer for the corrupt is that an earthquake will move them so much it will convince them that the world has not begun and will not end with them (...). Mary is the mother of all of us sinners, from the most to the least holy”. And also the Pontiff, as he has already done many times, defines himself as a sinner: “It is reality. If I said of myself that I was not a sinner, I would be the greatest corrupted”. 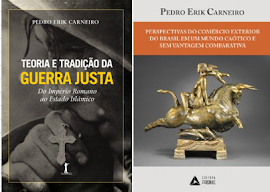 E algum católico ou protestante ainda têm duvidas de que a ICAR protestantizou? NÃO É NOVIDADE, COMO SEMPRE; E OS TOMBOS FRENTE A SUAS IMAGENS, TERIAM CORRELAÇÃO?